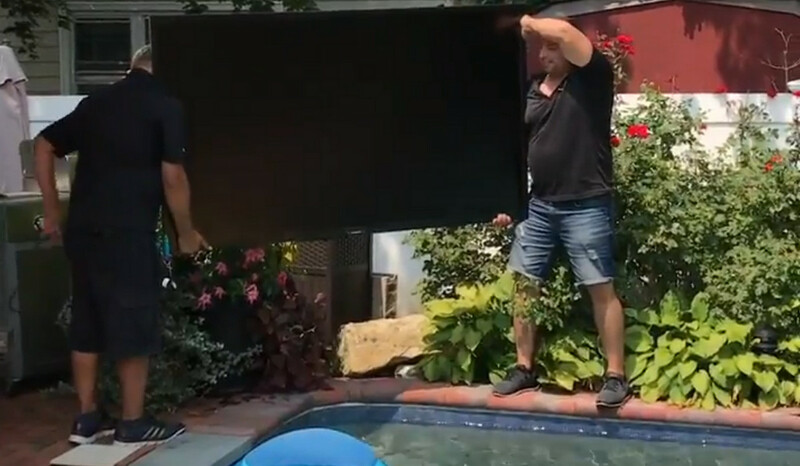 Architechnology Design technicians dare to install a 75-inch SunbriteTV at the far end of a pool. Viewers will cringe! They will cheer! 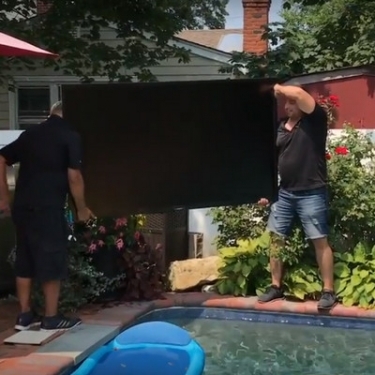 This video showing a poolside installation of a 75-inch SunBrite TV has audiences at the edges of their seats. “I was anxious the entire time I was watching this,” said Robert Keeler, VP sales for Stewart Filmscreen, in a comment posted on Linkedin, where the video first appeared. “Wow that's crazy,” wrote Art Powers, owner of Planter Speakers. “Let's be honest with ourselves, we were all kind of hoping they'd fall in the pool,” another reviewer wrote. The video comes courtesy of Ernie Wohlleben, owner of Architechnology Designs, a home-technology integrator in Southampton, N.Y. The integrator and client discussed several potential TV-mounting locations, including a wall near the pool, a fire-pit area, and finally a waterfall at the far end of the pool. The TV is complemented by Episode Landscape speakers from SnapAV, which also makes the SunBriteTV.